Load testing software tests software products, websites, and servers by adding load pressure and measuring the response. Development teams use this software as a part of a larger software testing regimen to verify developed products, websites, and servers can handle the various stresses of day-to-day use, as well as high-impact uses (e.g., holiday shopping, enterprise application use, etc.). Load testing tools work well with load balancing software, often being integrated to stress points of impact during testing and then manage those stresses as they occur. Load Testing reviews by real, verified users. Find unbiased ratings on user satisfaction, features, and price based on the most reviews available anywhere. BlazeMeter is a 100% JMeter-compatible, self-service web load testing cloud. Gatling is an open-source load & performance testing tool for web applications. Gatling integrates the DevOps lifecycle and comes with many official and community plugins for other developer tools (like the continuous integration tool Jenkins). LoadUI Pro is a tool that allows developers and testers to conduct rapid and comprehensive performance testing for SOAP and REST APIs, test speed and scalability of new changes to APIs in minutes, as well as preview API performance behaviors before releasing to production environments. LoadComplete is a desktop tool for load, stress, scalability testing of websites and web applications that works with both traditional HTML web sites and with Rich Internet Applications using modern web technologies like AJAX, ASP.NET, Java, Flash, Flex and Silverlight. The 'record and playpack' and 'visual programming' features enable to create powerful and flexible first load test within a few seconds. Testable is an innovative distributed load testing and synthetic monitoring platform. Define a test with a variety of open-source tools and let Testable handle the scale, reporting, and analytics. Supports JMeter, Gatling, Locust, Node.js (including HTTP, websockets, Socket.io, and Engine.io), Webdriver.io, Selenium Java, Serenity BDD, PhantomJS, SlimerJS, record-and-replay, and HAR files. Load can be generated on our globally distributed AWS infrastructure, on premises using Docker, or by Testable automatically spinning up isolated on demand EC2 instances for each test using our AWS account or yours. Simulate as many virtual users as you can from the test runners without having to pay more. 1 m4.large can often generate 1000+ virtual users depending on the tool. Real-time results include percentiles, success analytics, and trend analysis for every single metric. Want to know how many concurrent users your environment can handle? Define your performance requirements and let Testable automatically figure it out. Track how that number changes across test runs like any other metric. Define your own KPIs and get alerted when a test fails to meet them. Results can be shared and customized to provide different views for different stakeholders. We also integrate with leading monitoring tools like NewRelic and CI solutions to seamlessly integrate load testing and monitoring into your software development lifecycle. Automai's performance testing solution uses robot technology to give the most realistic tests possible. Robots access your applications from the front end just as real users do. Captures screenshots so you can act on failures. Easy record and play, or command selection scripting requires no coding, just knowledge of the application use. Intelligent engine recognizes images even if they change or move, or change color, adapting as real people do. This product is one part of Automai's Robotic Automation Platform which allows you to use the same scripts for performance testing, performance monitoring, automated testing, and running business processes with RPA , robotic process automation. Saves you time and money. Cloud API monitoring and load testing tools for websites, apps and APIs. Load Impact is an online web load testing service that allows users to run load tests of their web sites directly over the internet. Loadium is a JMeter based performance testing tool. You can upload your JMX file, configure test parameters (engine - thread count, iteration, geolocation, network type and more) and run tests. Also, it allows you to compare previous test runs. Moreover, you can integrate your test project with Jenkins, New Relic, Team City as well. Loadster is a cloud-hybrid load testing solution for high-performance websites and applications. Load test your sites to find bottlenecks, improve stability, and optimize user experience. LoadStorm PRO is cloud-based load testing software for web applications. An open source load testing tool. megaLOAD is an easy-to-use scalable cloud platform specially created for load testing heavy-duty backend services. OctoPerf is a load testing service dedicated to applications & websites developped in HTTP(s) It is based on the open-source load testing reference: JMeter. It allows you to try the robustness of your target over a peak of user traffic. It also highlights its contention points. Important challenges such as the Google ranking or conversion rate optimization depends on these problematics. 3 main OctoPerf's values: - Accessibility: pricing policy as well as physical access. It is a Saas, the service can be reached via Internet through a simple browser without any installation. In addition, we offer competitive pricing adapted to the customer profile. The idea is to democratize the approach to performance testing. To open it for any webmaster because all of them share common stakes. Our prices start at € 39 for the smaller budgets! - Reliability: OctoPerf launches tests in optimal and realistic situations (multi-device, multi-network, multi-geographical simulations) and provides comprehensive and very detailed results. - Modernity: The creation of test scenarios is very simple thanks to a Drag & Drop system. OctoPerf is based in the cloud and usable via a simple and powerful user interface. Try OctoPerf now, simulate thousands of users on your website to ensure it holds the charge. QuotiumPRO is software for web load testing, database monitoring, and database optimization. SmartMeter.io is a performance and load testing tool with enterprise-level features using a familiar jMeter interface. Since its beginning SmartMeter.io is built as a hybrid performance management tool that runs well on a laptop, in a team, on a private infrastructure or a public cloud. Key reasons to prefer our solution: • excels in on-premises testing where the money is and where new cloud-based solutions are useless • replaces for a fraction of costs expensive obsolete on-premises solutions, that many large corporations bought but seldom really used • runs in a hybrid combined tests from the internal infrastructure and the cloud • is light enough to run on a laptop but robust enough to perform a distributed test from many locations around the world • can simulate users from desktop and mobile devices in one test simultaneously • connects in a modern way to other services with its open API and many 3rd party integrations • automates many tedious tasks otherwise performed manually • brings developers, testers and QA managers together on the same boat, eliminating frictions coming from different testing standards, tools and habits Our clients use SmartMeter.io to test and tune internal bank core systems, online banking systems, insurance core systems, CRMs, fraud detection systems and other intranets applications. In other use cases SmartMeter.io is used to manage performance of study and exam system with both internal and online parts. StresStimulus is a load testing tool for websites, mobile and enterprise apps. 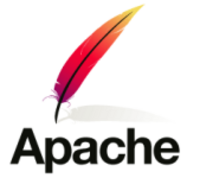 UbikLoadPack is a set of commercial plugins for Apache JMeter that is designed to easily load test different protocols. Hi there! Can I help you find the best Load Testing solutions?